Our Staff - G Stan Kearby Insurance Agency, Inc.
G. Stan Kearby is the founder of G. Stan Kearby Insurance Agency, Inc. Stan has been in the insurance industry for over 45 years. It has always been Stan's idea to give his customers the best possible price and coverage's the insured may need. Stan is very please that he can offer a staff that is able to help the insured with the greatest respect. Stan was born and raised in Yuba City. In his spare time he enjoys playing golf and volunteering for many of his special interests in the community. Stan served on the Sutter County Sheriffs Reserves for 18 years, past President of the Central Valley Shrine Club. Stan has sponsored many of the local golf tournaments for the hospitals, CHP, Sutter High School and other various scholarship programs. Community service is very import to Stan. He is very proud that he and his staff can give back to this community in some small way. Stan specializes in all lines of business. He has dedicated his career in the insurance industry to improving the relationship of insurance and the insured. It is very important to Stan to provide the best product for the best price with the most coverage's possible for his insured's. He personally reviews all farm and commercial renewals and will personally deliver the policies to go over coverage's. It is with great pleasure, that he can serve the community with some of the best insurance products available. Carolynn has over 25 year's insurance experience, with an accounting background. She is a licensed agent and customer service representative. Carolynn is a Nationwide Agri Business farm certified agents. She handles farms and commercial lines making sure customers needs are meet and the right coverage's apply for their protection. Carolynn loves working with the farms and commercial lines of the business. She has made some very special friends along the way. She will help you answer questions about coverage's, limits, and how best to insure your business or farm. Carolynn also does the personal lines as well. However, now that the agency has Amy as a licensed agent, Carolynn does not do as much in personal lines. She can still help you with any billing questions, quote questions or coverage's on your personal insurance. 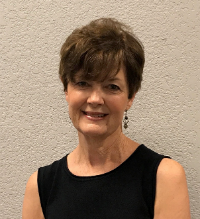 Carolynn has volunteered for many community events, Pink October Golf Tournament, Rideout Fremont Golf Tournament, was a committee member for United Way Wine and Food Soiree as well and the Pink October Fashion Show. She also is very involved in the Chamber of Commerce and helps organize events. Carolynn has been come to be known with some of the insurance companies as the "Credit Queen". She always works with the company's underwriters to get additional credits for her customer's policy renewals. 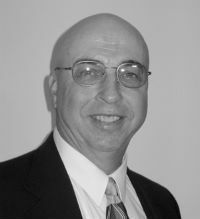 Wayne joined G. Stan Kearby Insurance in 1998. Wayne is not new to the area or the insurance business. Wayne has lived in Gridley since 1977. 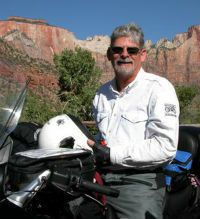 Wayne is a graduate of Brigham Young University and first started his insurance career with Metropolitan Life in 1973. Wayne is married and has four children. He was involved in the Boy Scouts for many years, both as a volunteer and Scout Master. He also has contributed to the Gridley School as a basketball announcer, variety show announcer and performer. Wayne specializes in Farm and Ag related insurance coverage. Wayne is an avid hunter and has many companies to put your hunting club liability and property insurance with. Wayne also writes personal home, auto, life and health insurance, as well as many lines of commercial insurance. He can help answer any of your coverage questions, to better assist you on the right amount of coverage and the proper insurance to meet your needs. Wayne also personally reviews all farm and commercial renewals and will personally deliver the policies to go over coverage's. 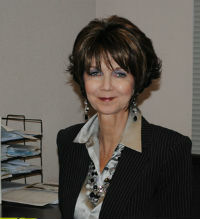 Lori joined G. Stan Kearby Insurance in 1991. Lori is one of the best CSR- customer service representatives an agency could have. All our customers know they can call Lori, ask any question, or ask for quote on their auto, home or any of the many lines of insurance our agency writes. Lori is a Nationwide Agri Business farm certified agent. She can assist you in your billing questions, coverage questions and how best to cover your insurance needs. Lori is married, has one daughter and son-in-law, with 3 grandchildren, along with 2 stepsons and their respective spouses. Lori and her husband Joe are very involved in community activities with The Acting Company, the Applause series with the Arts Council and Sutter Performing Arts Association and the Rideout Health Dance With Our Stars, among other charities and events. Diane was born in San Francisco, CA, the oldest of 5 daughters. Before she started school her parents moved to San Bruno, CA, where she eventually met her Husband Gary of 51 years. They have a son and daughter, along with their spouses. Along with the wonderful blessing of a grandson and granddaughter. Her joy is watching them grow! 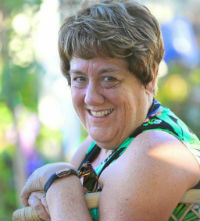 She moved to the area in 1986, and have had the pleasure of living, and working in the community. Over the years she has enjoyed entertaining friends in her home, and now enjoys knowing our children do the same with their friends. Diane has been working in the insurance field for over 25 years and has been with G Stan Kearby Ins since 2014. She proudly services most of our Colusa customers by handling their personal, commercial, and farm needs!